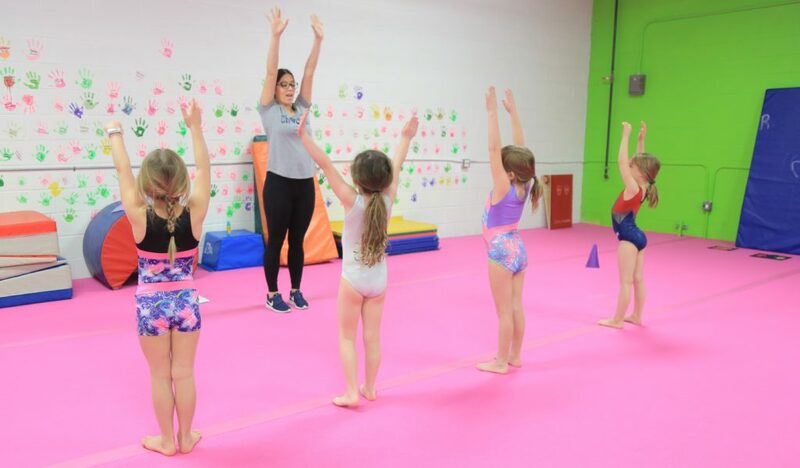 Gemini Gymnastics Academy – Our goal at Gemini Gymnastics Academy is to provide a nurturing and positive atmosphere where your child can receive quality instruction and individual attention. 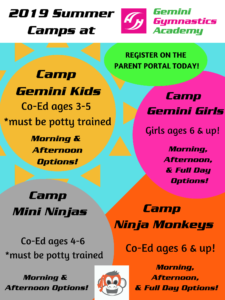 SUMMER CAMP REGISTRATION IS OPEN!! 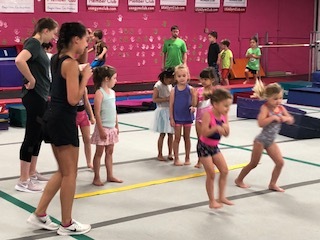 – CHECK OUT OUR NEW TAE KWON TWISTARS CLASS WITH MASTER TIFFANY! 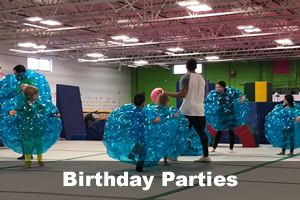 Celebrate your child’s birthday at Gemini Gymnastics Academy! Gemini Gymnastics Academy was established June 13, 2005 by Chris Kozelka Campbell. 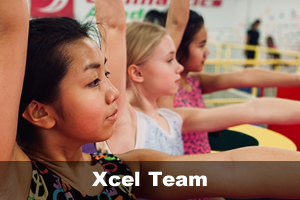 Gemini Gymnastics Academy specializes in recreational gymnastics for ages 2 and up and Xcel Team. 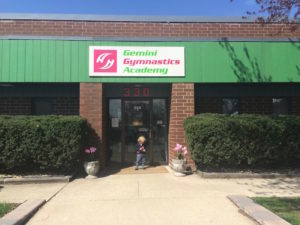 Gemini is a USA Gymnastics Member Club. In January of 2010 Chris & her sister, Carrie Johnson teamed up to run the business together! 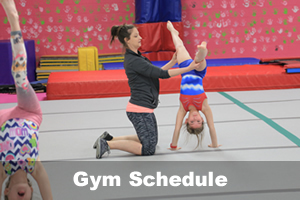 Chris has been involved in the sport of gymnastics since age 3 and has taught gymnastics for 25 years. Chris received a Bachelor of Science degree in Sport, Health, Leisure and Physical Studies from the University of Iowa. Read more about us! 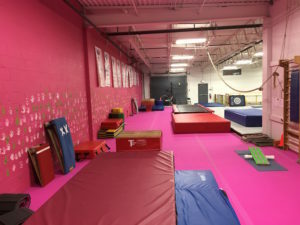 Interested in Joining Gemini Gymnastics Academy? Great gym! My daughter is 3 1/2 years old and she is in the Sparkler class, her teacher is Ms Carrie. 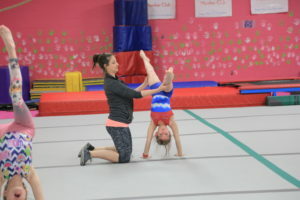 Ms. Carrie is very nice, professional and easy to chat with, my daughter absolutely loves her and can’t wait to go each week (except that one off day when Ryann had a complete meltdown and refused to go in, that had nothing to do with the gym that’s just what we all deal with from time to time 🙂 ). I love the fact that her class is Co-Ed, my son will definitely be signed up next year! There is just enough individual attention, which I think is great especially for my daughter, she likes to feel that support. 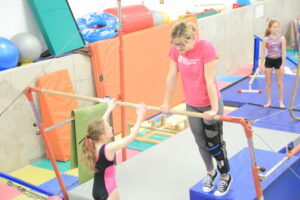 Bring your child here, check it out, you will feel very comfortable and fall in love quickly! I am writing this letter to express my gratitude for such an incredible establishment. My children, McKenzie, Grace and Tommy are all students of your facility. We have been coming to Gemini since it first opened in 2005. I love the support and personalization that Gemini brings. 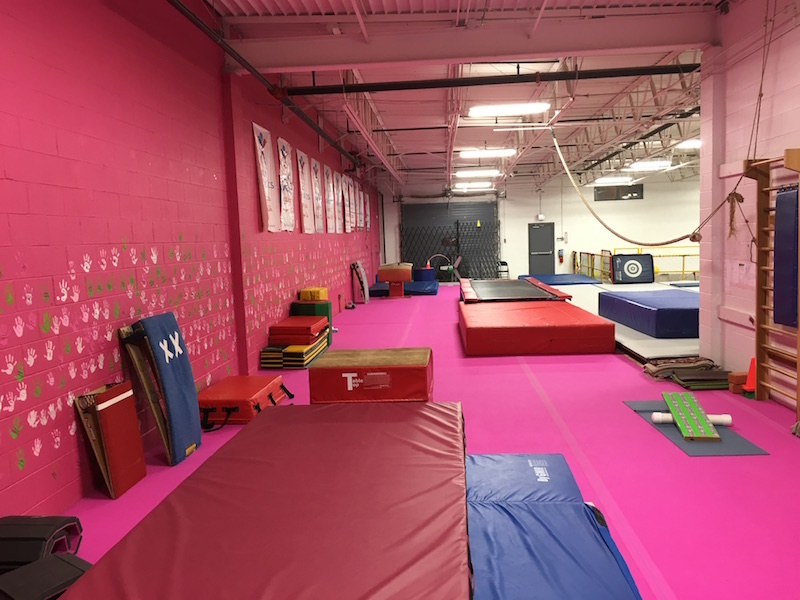 What Gemini offers are gymnastics classes with a low teacher-to-student ratio, and excellent instruction at an incredible price in a fantastic new facility! Gemini has not only has built my daughter's skills over the past three years, but it has also developed her confidence in her skills and ultimately, in herself. 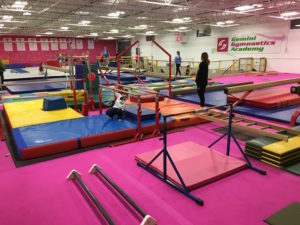 My two girls started at Gemini and we really loved it. 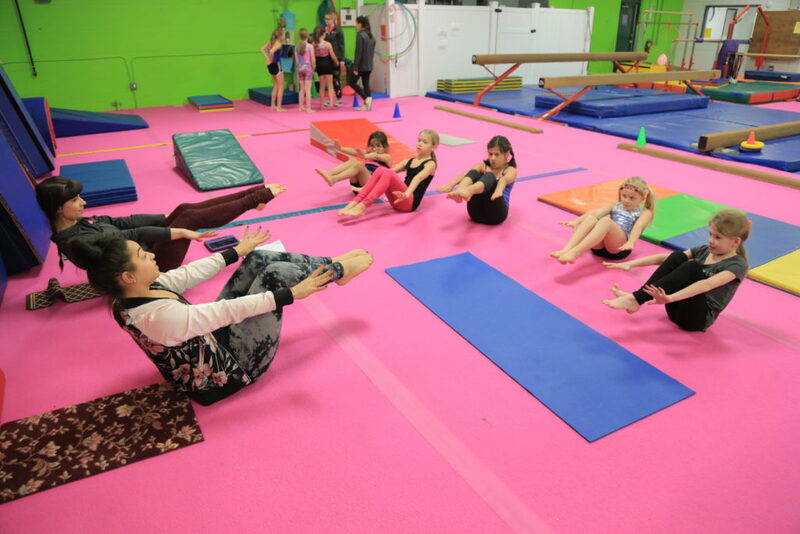 After my oldest decided she wanted to take at another gymnastics center, where friends were taking, we switched. 1 year later, we switched back to Gemini. I found the care and personalization of the instruction of the Gemini staff could not be beat. We are so happy we switched back! We are so grateful that we found Gemini! The coaches are so knowledgeable, encouraging, patient and smiling! And that wasn't enough. She also discovered yoga at Gemini. 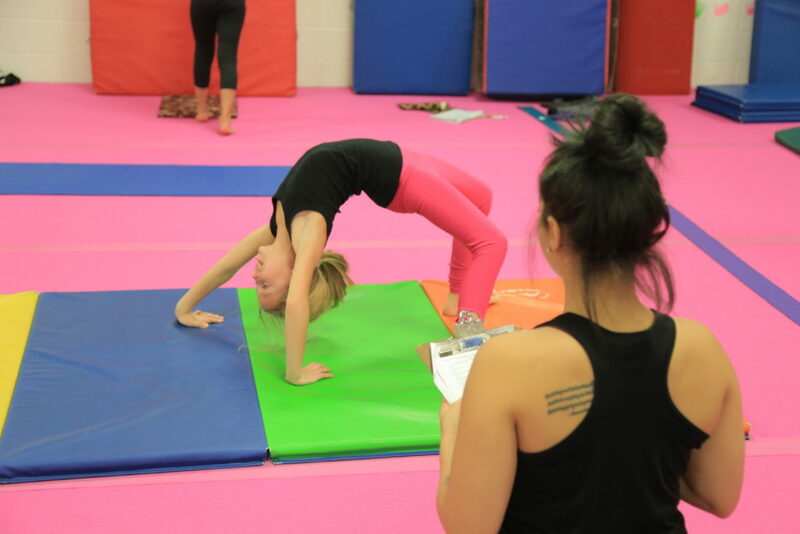 She loves yoga and it is a wonderful complement to the gymnastics sport. Gemini has it all! My daughter Colette has been a student of Gemini Gymnastics since they opened their gym. At Gemini, we have found not only coaches who are able to teach all the skills required of an elite gymnast, but also a coaching staff and family atmosphere that builds self-esteem and confidence through kindness, discipline, hard work and mutual respect. At my school, Hauser Jr. High, we are offered a wide selection of clubs. This trimester's assignment was to write a letter to your hero. Once Mr. Wolf said this, I immediately though of someone who has impacted my life and taught me important lessons. 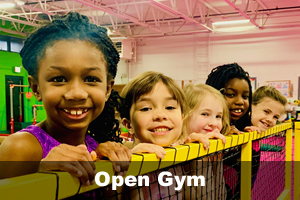 Tiny Twistar Open Gym & Egg Hunt! 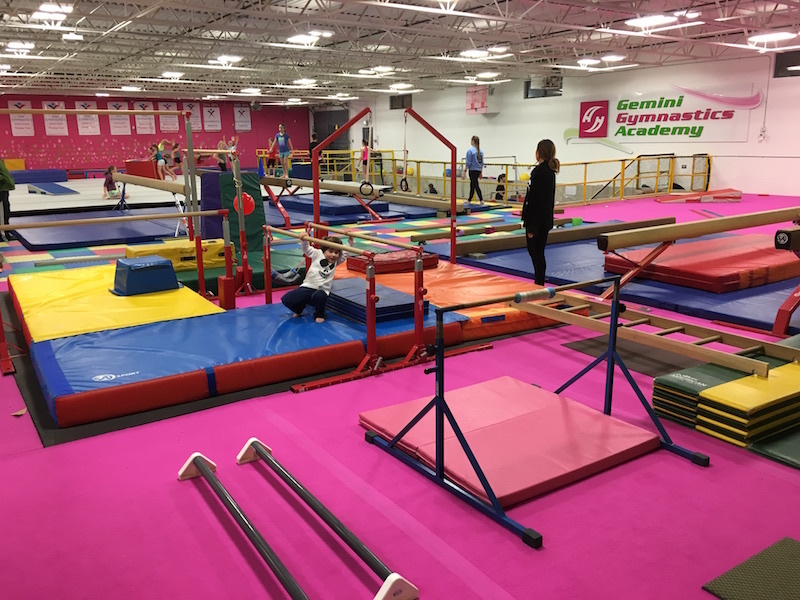 Gemini Named 2017 Top 20 Gymnastics Teachers in Chicago!